William Lecoq driving the AVIWEST remote production cart providing live video for the French Open golf tournament. New technology is often leveraged to provide viewers with more exciting play action for live sports. Whether it’s football goal-line cameras, basketball hoop cameras or field graphics for soccer, getting the viewer ever closer to the action is always better. This article examines some of the challenges faced in providing streaming capability for a mobile production unit to cover the French Golf Open. Increasingly, consumers are watching local sports events like golf, marathons, trail and bike races. In order to put sports fans at the heart of the action and provide them with exclusive live content, broadcasters and other video professionals need a remote production setup that is capable of streaming high-quality content in real time to a wide range of devices, including TVs, PCs, smartphones, and tablets. Moreover, they need equipment that lets them get as close as possible to the action. This article will examine some of the challenges broadcasters face for live sports streaming and key requirements in a remote production system, concluding with a real-world success story at the French Golf Open. One of the biggest challenges broadcasters face with moving video sources is delivering exceptional video quality. Sports events are considered premium content and given the fast action of sports, delivering sports in crystal-clear quality is an essential requirement. A few years ago viewers may have accepted lesser video quality for streaming services, but today they expect the same quality for streaming video as they do for traditional broadcast. 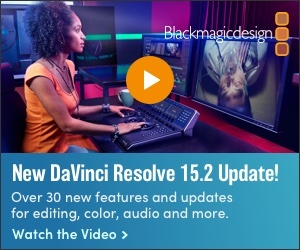 The native source in a remote production has to be very good in order to ensure optimal video quality. Furthermore, there must be very low latency for live sports video. Broadcasters want to ensure there is the shortest minimum time between capture of an event, delivery to the media control room and distribution to viewers. Choosing a remote production system with state-of-the-art encoding will ensure low latency of only a few seconds. It’s important for broadcasters and other video professionals to keep in mind that there can be a slight trade-off between latency and video quality. Another key requirement for remote broadcast production solutions is format flexibility. In today’s connected world, viewers want to watch sports at home on their TVs and on the go on smartphones and tablets. A remote production system should support a wide range of video delivery formats so that content can be viewed on traditional broadcast and OTT channels, as well as social media platforms. During sports events, broadcasters are capturing live sources from a variety of different positions. The challenge is maintaining perfect video genlock and lip sync across multiple cameras. Therefore, the remote production setup needs to be accurately synchronized to switch seamlessly from one source to another. For remote production, it’s also critical that the equipment is compact, portable, and flexible. Consumers want to be able to watch events from different vantage points. If the camera equipment is lightweight and small in size, it can be installed on a drone, a motorbike or worn by the athlete himself, for example, giving viewers a unique angle into what’s happening. Automating remote production is a great way for broadcasters to reduce opex for live sports coverage. Under this type of setup, the site is appointed with cameras and equipment. No humans need to be present onsite to operate the equipment. There’s also not necessarily a need for a local satellite production truck either. For this to work, the equipment must be very robust and standalone, with the ability to be remotely controlled. Using advanced remote production equipment, broadcasters cannot only transport video, they can also control it for configuration and monitoring purposes. The position of a single camera can be changed from an operations center far away from the actual sports site via internet connection. Basic signal flow used by AVIWEST for the French Open Golf Tournament. Ekla Ingenierie, a French provider of video contribution services, recently deployed an ultra-connected golf cart to stream the French Golf Open live on social networks. For the first time, a control room, including six cameras, was embedded on a golf cart. With this unique configuration, one journalist drove the golf cart to follow golfers on the green, providing live commentary. Two cameras with wide-angle lenses were attached to the cart, one filming the journalist and the other situated on the front of the cart so that viewers can see the journalist’s line of sight. Another camera located at the right side of the cart was able to rotate on its axis and zoom to get additional shots. Next to the journalist a technician was present to help switch the cameras, mix all of the live raw videos and communicate with the control room through an intercom application. Three mobile cameramen followed the competition in another cart with cameras connected to the mixer of the first cart. All of the edited files were streamed by an advanced bonded cellular transmitter system and cellular antenna array with four wideband 3G/4G antennas to ensure a reliable connection all along the golf course. Most golf tournaments rely on fixed fiber installed at key points on a course. This golf cart is equipped with reliable and high-quality RF links to enable live video from any golf course location. 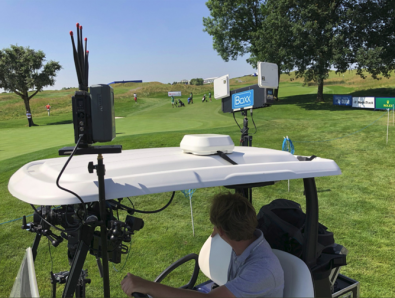 Using a connected golf cart, Ekla Ingenierie and the French Golf Federation were able to follow golfers as closely as possible during the French Golf Open, delivering exceptional quality live video with controlled latency to viewers on a wide range of social media platforms. 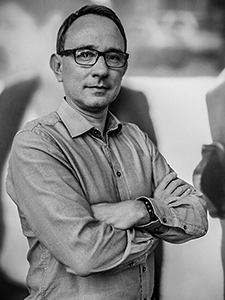 Key to the success of the project was compact, lightweight, and robust contribution and distribution solutions featuring HEVC hardware encoding over bonded cellular networks. By detecting and bonding together multiple IP network interfaces, the equipment enabled Ekla Ingenierie to take advantage of every IP network in the immediate area and assure the delivery of live transmissions between the remote field units and the transceiver via public internet with minimum delay (typically 2 seconds). Remote productions for live sports are evolving. Video quality has improved for streaming applications, with latency reaching a low thanks to the latest enhancements in encoding. As broadcasters and video professionals look to get closer to the action, they need compact, portable equipment that supports a variety of delivery formats, remote configuration and monitoring, and distribution over managed and unmanaged networks while optimizing their operation costs.